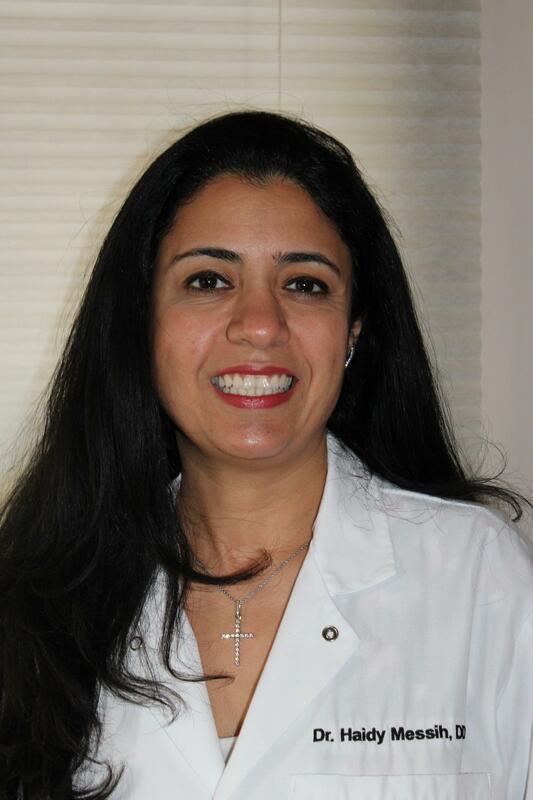 Dr. Messih received her dental degree in 2011 from New York University College of Dentistry where she completed an honor program in Endodontics. After graduating, Dr. Messih joined a general practice residency program at Hackensack University Medical Center in New Jersey, where she gained a tremendous experience in practicing dentistry in office and emergency environments. In 2012, and for the following two years, Dr. Messih was the lead dentist at a private dental office in Maywood NJ. After relocating to Virginia in October 2014, Dr. Messih practiced in Warrenton VA before acquiring Loudoun Family and Cosmetic Dentistry in late 2016. Dr. Messih is committed to remaining on the cutting edge of what dentistry has to offer and is a strong believer in providing high-quality service to her patients by treating them as a family. She is Invisalign certified and is highly skilled in cosmetic dentistry, as she believes her patients’ happiness could be achieved one smile at a time. Dr. Messih resides in Loudoun County with her husband and two daughters, where they enjoy the life in the Old Dominion. Dr. Messih enjoys reading, swimming, baking and building memories with her kids. Dr. Anthony J. Black received his B.S. from George Mason University and graduated second in his class from the Howard University College of Dentistry in Washington, D.C. He stays on the cusp of modern dentistry through continuing education and seminars, including workshops on restoring worn teeth and placing lifelike fillings led by world-renowned dentists such as Dr. John Cranham of the Dawson Academy and Dr. Ron Jackson of the Las Vegas Institute for Advanced Dental Studies. In addition, Dr. Black is an Invisalign®-certified dentist and completed the Clear Essentials II advanced training course for treating more complex Invisalign cases. He is a member of the American Dental Association, Virginia Dental Association, and Northern Virginia Dental Society, and he has been involved with Donated Dental Services, an organization that provides dental care to those who otherwise could not afford it. The ability to help others is Dr. Black’s inspiration for practicing dentistry. His combination of knowledge, creativity, and technical skill allows him to produce beautiful, natural-looking smiles for his patients in a comfortable manner. His “health-first” philosophy makes your oral health and well-being paramount in all his treatment recommendations. Dr. Black uses the latest dental materials to ensure the best possible results. 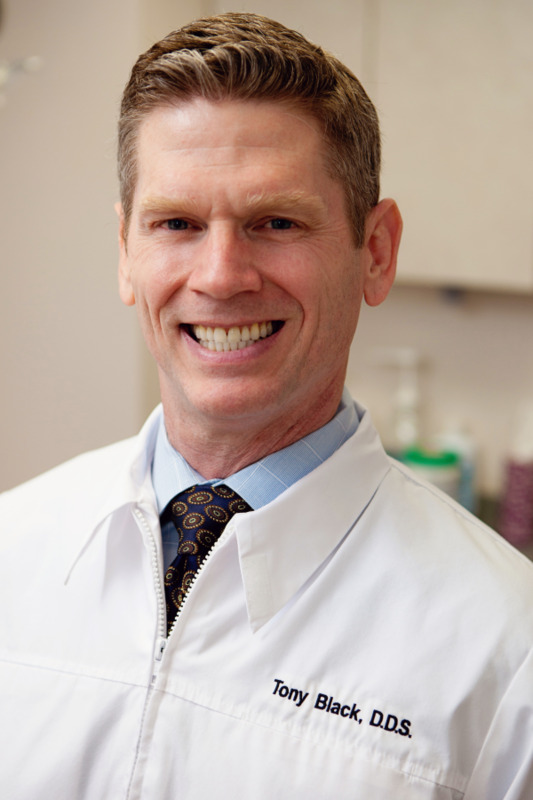 Dr. Black enjoys fitness and cooking, and he and his wife, Joanna, are sincere animal lovers. They reside in Great Falls, Virginia, with their dog, Riley.